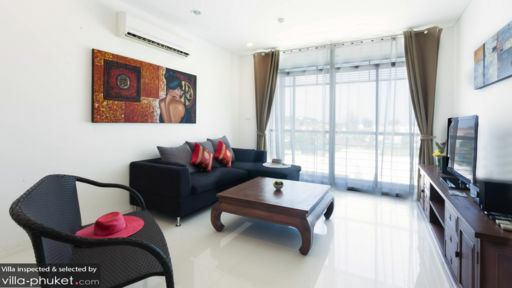 The penthouse at Kamala Regent, Phuket is a serviced-apartment with three spacious bedrooms and gorgeous views of Kamala beach and its surrounding areas. The penthouse has been decorated with a contemporary aesthetic so much so that you are will get best of both home and the tropics at the same place. 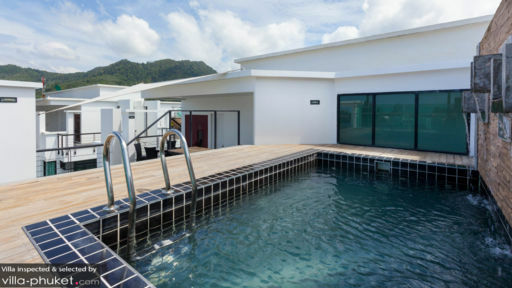 With quality amenities and services on offer the penthouse is a great place to stay with friends and family as it is even close to some of the famous beaches in Phuket. There are three bedrooms at the penthouse and each of them offers a view of the stunning beaches that can be enjoyed from the private balconies. They are furnished with deluxe double beds with simple furnishings to keep the rooms cool, spacious, and bright. There are two lavish bathrooms for guests and each is fitted with excellent facilities. The bathrooms have walk-in showers for a luxurious and comfortable experience. The bedrooms are air-conditioned so they are inviting and make you feel at ease. The best part about the penthouse at Kamala Regent is the 360-degree view of the beach with its golden, white sands and dazzling, blue sea. With a lavish swimming pool for you to lounge in, as you sip on some cocktails, you can spend hours on end just enjoying the view and fresh breeze. Since the penthouse is also surrounded by other properties and lush vegetation, you are assured of your privacy from any disturbances. The clear, blue skies and the fresh wind is sure to lift your spirits as you enjoy a tranquil swim with your loved ones. There are many outdoor sitting areas for your comfort and ease, as well as sun beds for sunbathing. The penthouse boasts of a cozy living area with dark couches and otherwise white interiors. There are large glass windows that let in ample lighting to illuminate the entire room and the fresh air for ventilation. A massive, flat-screen TV is placed facing the sitting area so you can enjoy watching some movies with your friends and family. The air-conditioner will keep the room cool, if you wish to close the windows. The living area is decorated with selective artwork that sport bright colours for a vibrant addition to the living area. Behind the sitting area is the dining area where everyone can gather together and enjoy a hearty meal. Another shaded dining area is found outdoors for an alfresco experience. The kitchen at the penthouse at Kamala Regent is fitted with all sorts of modern amenities and appliances for your convenience. 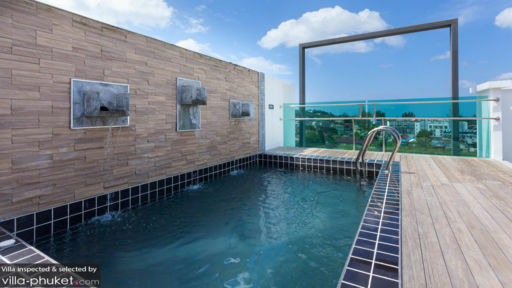 There are several facilities on offer at the penthouse including a sauna room, fitness room, 24-hour security, and private parking. The staff is friendly and kind towards the guests and will accommodate requests for car rentals, in-house massages etc. Housekeeping, maintenance, and management is well-taken care of by the staff.